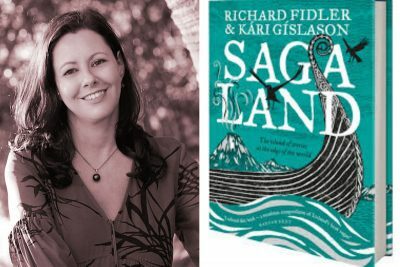 We caught up with Richard Fidler at the 2018 Sydney Writer's Festival to talk about his latest book Saga Land, which he co-authored with his dear friend Kari Gislason. 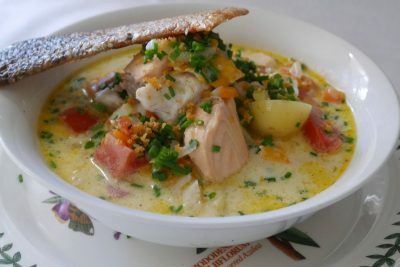 In it, he included a recipe for Icelandic fish soup because, says Richard, "wherever you go in Iceland ... they tend to have these little cafes ... that only have about four or five things on the menu ... and nearly every one of them had Icelandic fish soup. I loved Richard Fidler’s earlier book, Ghost Empire, about his journey to Constantinople with his son, which entwined travel-writing with history and legend in a very personable and beguiling way. I’ve also been interested in Iceland and its astonishing sagas for quite some time. So I was keen to read Saga Land from the second I heard about it.